The hunt takes the viewer to the Rungwa River in the south-east, for lion and sable; Masailand for fringe-eared oryx, Grant's gazelle, gerenuk and Kirk's dik-dik; along the Moyowasi and Malagarasi Rivers in the north-west, for situtunga and bushbuck; and a brief glimpse of the Selous for Lichtenstein's hartebeest and Nyasa wildebeest. 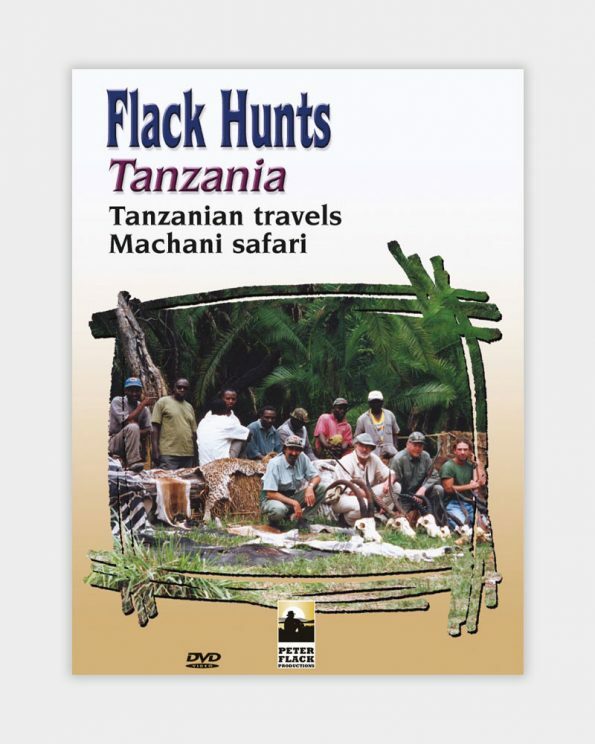 The hunt takes the viewer to the Rungwa River in the south-east, for lion and sable; Masailand for fringe-eared oryx, Grant’s gazelle, gerenuk and Kirk’s dik-dik; along the Moyowasi and Malagarasi Rivers in the north-west, for situtunga and bushbuck; and a brief glimpse of the Selous for Lichtenstein’s hartebeest and Nyasa wildebeest. This short film is Peter Flack’s attempt to capture the essence of his safari for his family. As such, it is much more than a collection of one-shot animal kills. This is a record of his safari as a whole: the camps, the staff, the habitat of the region, including its flora and fauna and, of course, the hunts of the unusual animals he pursued. It provides a wonderful reference source for anyone contemplating a hunt in the country and will help the viewer decide if this kind of hunt is for him and her and, if so, what rifles, ammunition, preparation, clothing and equipment are necessary.